HTB Creations: Trendy Twine -- Miss You! Trendy Twine -- Miss You! Hello everyone! I'm posting over at Twine It Up! with Trendy Twine. 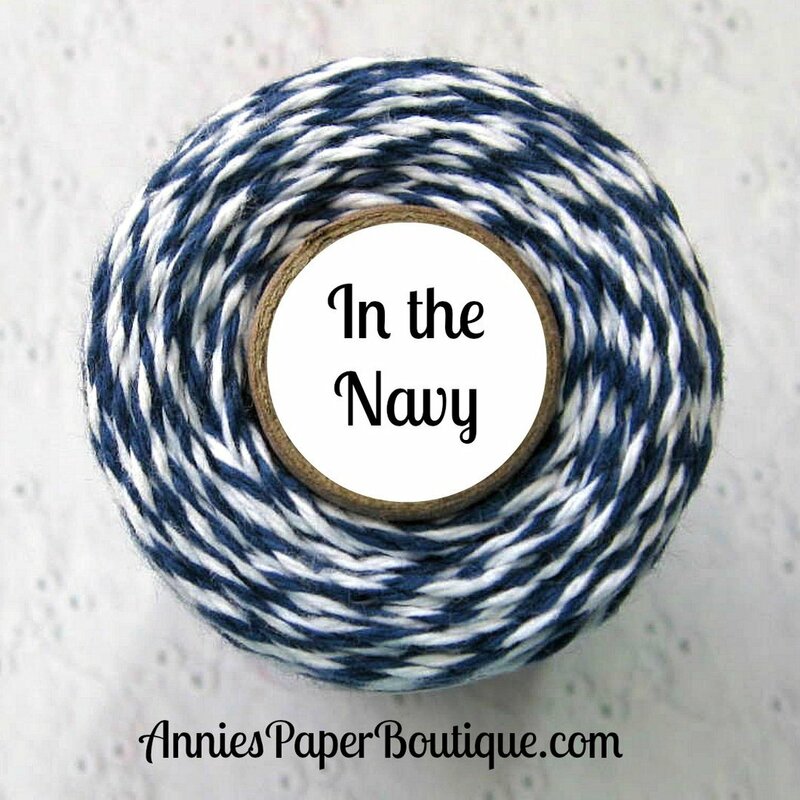 Today, I made a card for you using In the Navy Trendy Twine. I have not used this twine enough and really look forward to playing with it all month long. I used an anchor cut from my Cricut to start with. It had a 'rope' cut out on top that I thought would be a perfect place to use my In the Navy Trendy Twine. I glued down four rows onto the rope cut and used some clear Wink of Stellar on the anchor. Then I found the perfect paper for this project--the anchor paper was even the right color!! I added a white base with a wavy die cut border so you could definitely see the pattern paper. It needed something else so I also glued my In the Navy twine to the bottom of the border and added a bow. To finish it off, I added clear gems for some sparkle. This is such a fantastic card! I love the bold contrast of the colors and the way you used that Trendy Twine is perfect! Fantastic Nautical card! Love it! Fabulous card! The nautical theme is awesome, I love how you used the twine with the anchor! So very pretty! Such a pretty card and you did a fabulous job with the In the Navy twine. Love how you added it to the anchor. One of my favorite nautical cards Helen! AWESOME!